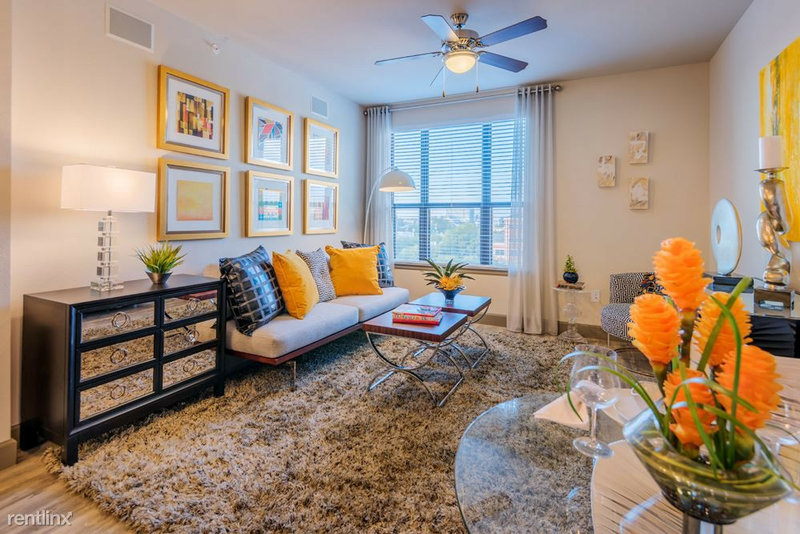 Renting in Spring Branch West: What will $1,000 get you? Curious just how far your dollar goes in Spring Branch West? According to Walk Score, this Houston neighborhood requires a car for most errands, is bikeable and has some transit options. Data from rental site Zumper shows that the median rent for a one bedroom in Spring Branch West is currently hovering around $955. Listed at $975/month, this 721-square-foot one-bedroom, one-bathroom apartment is located at 585 N. Dairy Ashford Road. In the unit, you can expect a dishwasher, in-unit laundry, a balcony, air conditioning, hardwood flooring and a ceiling fan. The building offers assigned parking, a swimming pool, a fitness center and an elevator. Pet owners, take heed: cats and dogs are permitted. Next, there's this one-bedroom, one-bathroom condo situated at 225 N. Dairy Ashford Road. It's listed for $955/month for its 634 square feet of space. Building amenities include assigned parking, a swimming pool, a fitness center and an elevator. In the condo, there are a dishwasher, in-unit laundry, a balcony, stainless steel appliances, air conditioning, hardwood flooring, a breakfast bar, recessed lighting and wooden cabinetry. Good news for animal lovers: both dogs and cats are welcome here. Finally, here's a 632-square-foot one-bedroom, one-bathroom apartment at 575 N. Dairy Ashford Road that's going for $949/month. In the unit, you'll get a dishwasher, in-unit laundry, a balcony, hardwood flooring, air conditioning, stainless steel appliances and wooden cabinetry. The building features assigned parking, a swimming pool, a fitness center and an elevator. Luckily for pet owners, both dogs and cats are welcome.